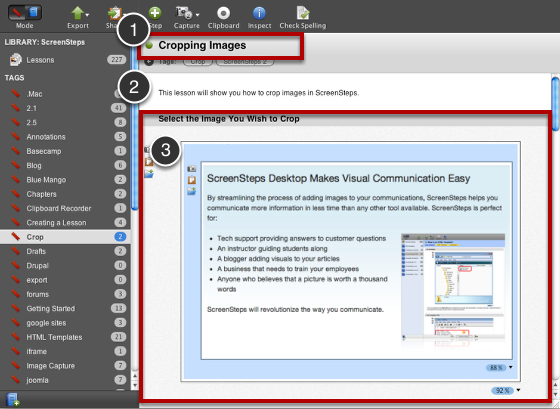 This lesson gives a brief overview of the ScreenSteps 2 display. Selecting a Tag from the left (3) will display the lessons for that Tag to the right (4). Note: The tags (3) will only appear if you have tagged a lesson. 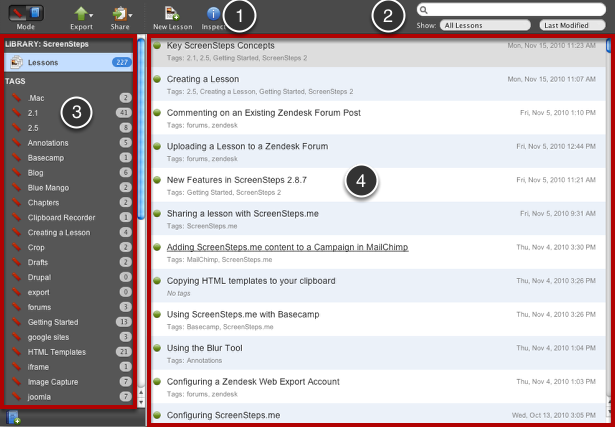 When you first launch ScreenSteps this list will be empty. 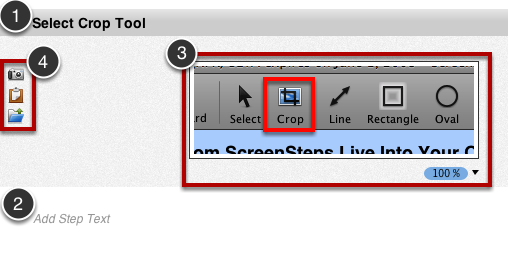 Two view modes are possible, Tags and Manuals. Manuals you create by manually dragging lessons into an outline. 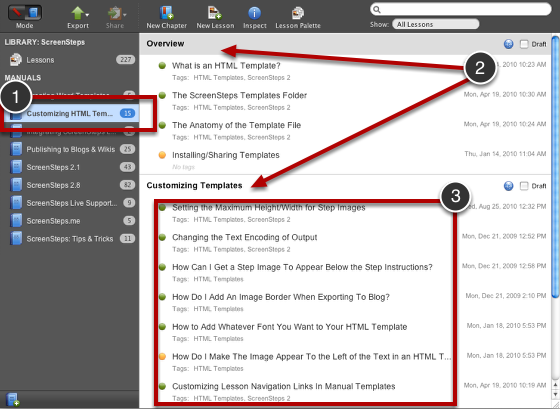 Tag listings are automatically created as you tag lessons. 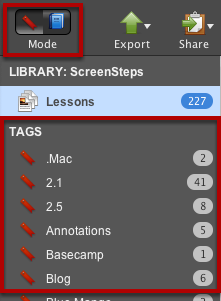 The tags view will list all of the tags that you have added to lessons you have created. The number of lessons in the tag are shown to the right. 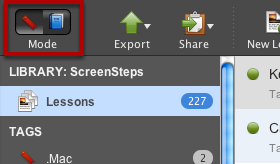 You can also drag lessons from the list onto a tag to add that tag to a lesson. If you have a manual selected (1) you will see the chapters (2) and lessons (3) for that manual to the right. Chapters are just a way of organizing lessons inside of a manual.